This grand upholstered bed will be a perfect centerpiece in your bedroom. 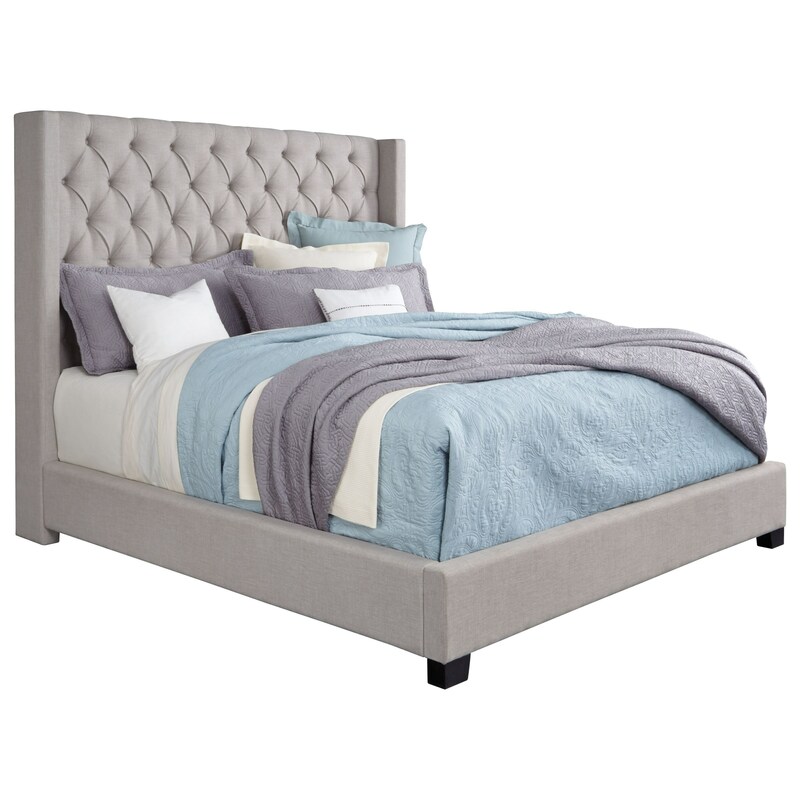 The high headboard is beautifully accented with diamond button tufting and has slight wings. The bed is upholstered in 100% polyester. The bed is durably constructed from Asian hardwoods and wood products. The Westerly King Upholstered Bed with Button Tufting by Standard Furniture at Furniture Fair - North Carolina in the Jacksonville, Greenville, Goldsboro, New Bern, Rocky Mount, Wilmington NC area. Product availability may vary. Contact us for the most current availability on this product. Browse other items in the Westerly collection from Furniture Fair - North Carolina in the Jacksonville, Greenville, Goldsboro, New Bern, Rocky Mount, Wilmington NC area.